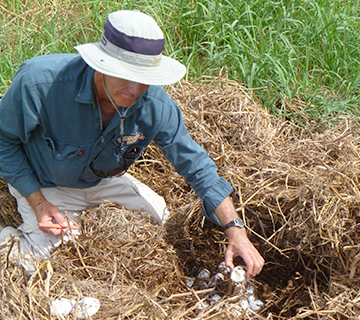 WMI designs, presents and delivers tailored training and education packages nationally and internationally to clients of all types on practical crocodile issues such as safety, handling practices, egg collection, farming, and more complex technical issues such as incubation theory and practice or the biology, behaviour, physiology and anatomy of crocodiles. 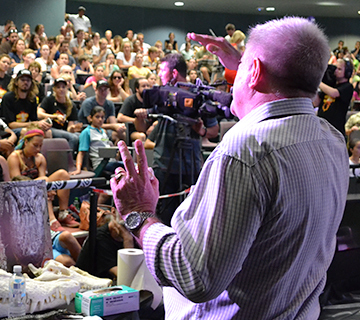 In a recent live online streamed performance, the WMI team dissected a 4.3m long crocodile as a contribution to Australia’s National Science Week activities. Our senior staff are also accomplished presenters and are often engaged to present lectures and training programs on wildlife conservation and management in general, international trade in wildlife, compliance with national and international legislation, and the politics of conservation at national and international levels. We design and deliver extensive hands on training programs for work forces and industries both nationally and internationally in a host of areas including sustainable and humane production practices, new industry technology, or practical skills development. 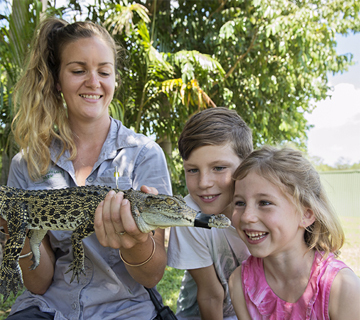 Our public education programs are based around Crocodylus Park in Darwin NT. A research and education facility that sees over 50,000 visitors per year. Here guests are provided with extensive information about crocodiles, crocodile safety, the challenges of conservation and the reality of sustainable use as a conservation tool. Our senior staff are engaging, entertaining and much sought-after speakers at conferences, or as after-dinner speakers. Work at the front line of wildlife conservation and management around the world, particularly with crocodiles, is of wide and contemporary interest, nationally and internationally.